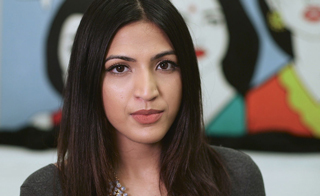 It’s funny how making light of tough issues is helping these South Asian comics find a voice and a niche in America’s messy socio-political scene. Pushing our boundaries, making us laugh, cry, and think, this crop of satirists is no joke. Comedians, like clowns, have a special license to help us enter a threshold where the boundary between reality and imagination is blurred. We can think of them as the “no man’s land” of political critique. While satire can occasionally cut too deep, with unfortunate consequences, as Salman Rushdie found after Satanic Verses earned him a fatwa from the Khomeini of Iran, the wise “fool” is to be let off for his witty upending of his social superiors. It is within the context of entertainment that dissent can be most effective. A striking example of this is the boldness and genius with which Hasan Minhaj roasted President Trump last year at the White House Correspondents’ Dinner. Following are just some of the gems from his brutal monologue at that storied event. Hasan’s willingness to push the boundaries has served him well, where a lessor comedian could easily bomb. 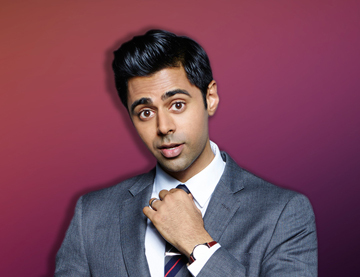 “We Muslims hate cartoons,” he let out while prancing around the stage in Davis, California performing to a live audience for his Netflix original Hasan Minhaj: Homecoming King (2017). Gasp. Did he really say that? The audience is shocked into silence, and then breaks into, what I fervently hope, is cathartic laughter. A joke about the infamous “clash of civilizations,” the Danish cartoons, the Charlie Hebdo cartoons, is risky indeed. But the laughter is rolling in, and we have witnessed that moment when a difficult topic has been pulled out from under the carpet into the spo light. The narrative in Homecoming King starts with Minhaj being jilted on prom night by his “white princess,” whose parents were as worried about log kya kahenge (what will people say?) as his own. 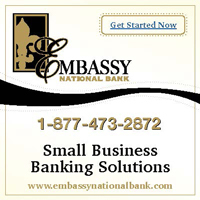 It is a story that can cause an unexpected lump in your throat. It then moves to a critique of world events, as the personal becomes political. “I am the cure for racism,” he offers simply. 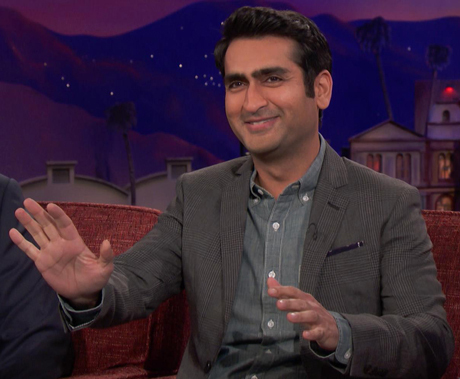 Kumail Nanjiani, the Pakistani-American comedian, also weaves between the personal and the political in his 2017 film The Big Sick. His character, responding to a question by his movie in-laws about how he felt about 9-11, deadpans, “It was terrible. We lost 19 of our best guys. (Just kidding! )” Gasp. The audience is shocked into silence, and then there is laughter. A joke about 9/11? We are talking here not about the Apu from Satyajit Ray’s realist trilogy, but animated cartoon character Apu Nahasapeemapetilon, Kwik-E-Mart owner on The Simpsons (1989-present). Apu was created by Matt Groening and voiced by Hank Azaria. Apu has a Ph.D. in Computer Science from CalTech (Calcutta Technical Institute). 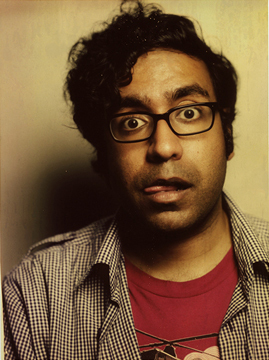 Kondabolu claims that Apu’s trademark “thank you, come again,” delivered in a singsong accent was repeated by schoolyard bullies and ruined many a childhood of South Asian kids. 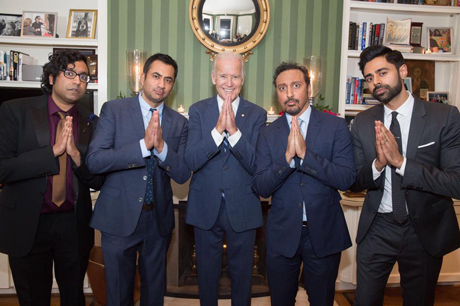 In the film, he discusses his ambivalence about Apu’s caricature with Aziz Ansari, Kal Penn, Aasif Mandvi, Hasan Minhaj, Utkarsh Ambudkar, and Aparna Nancherla. There is some discussion withWhoopi Goldberg about whether Apu can be called a minstrel character. While Russell Peters built his career on jokes such as his Dad’s accented promise of punishment: “Somebody gonna get hurt a real bad,” some comics resist the easy laugh about stereotypes. Aziz Ansari dedicated a whole episode to this subject on Master of None (2015). On the one hand, such humor targeting one’s own culture offers opportunities for critique within the community, much like Meet the Patels (2015), which lampooned desi dismay at nonarranged and interracial marriage. The art of the mischievous dig at the conservative relatives is perfected by Nanjiani, who looks quite pleased on Saturday Night Live at the scorecard so far: “Nanjianis: 0; White Women: 2.” His wife Emily is the second gori (white) woman married to a Nanjiani, forty years after an uncle moved to Scotland and married a white woman. But it’s clear that these are in-jokes, like gently roasting your beloved mamaji (uncle) at his birthday party that you helped arrange. There is affection even through the rolling eyes. 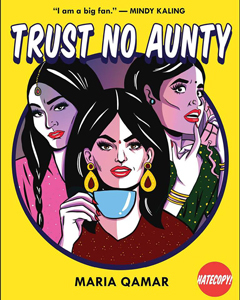 (Left) Maria Qamar of Trust No Aunty. (Left) Even a light and entertaining children’s book can play—effectively—into themes of immigration woes. Beyond comedy there are other creative works that merit attention when it comes to art-forms tackling tough issues. 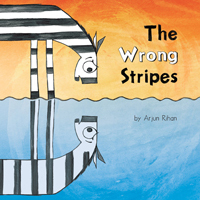 In Arjun Rihan’s animated children’s book, The Wrong Stripes, Rudy, the zebra, has, well…the wrong stripes—they zag instead of zig. Much like the comics who talk about existing in American immigrant third cultures (or in Qamar’s case, a fifth culture in Canada in a home of “half Gujarat and half Bihari, by way of Bangladesh but located in Pakistan”), Rudy feels all alone in a roomful of zebras. He sets off on an adventure, leaving his home much like an immigrant, and discovers a world full of animals with vibrant spots, dazzling points, and other mesmerizing patterns. Rihan’s 2009 student film Topi, about a young boy’s experience during the turbulent days of the Partition of India, is based on true events. Yes, it can be referred to as a cartoon film, but it can make you cry. I met a filmmaker at a friend’s house some years ago, and he had handed me a copy of his film, Loins of Punjab Presents (2007). In the film, a New Jersey town catches Bollywood fever when five Indian-Americans and one Jewish Indophile compete in an amateur Indian Idol-style singing contest. Loins of Punjab Presents satirizes nonresident Indians and Bollywood fans as they vie for the title of “Desi Idol.” Ajay Naidu had been in the film, and so had Anuvab Pal. A few years later, I learned that the filmmaker, the late Manish Acharya, had died in a tragic accident. A rewatching of the film Loins of Punjab Presents lit up my brain with dopamine and filled my eyes with tears. Watching Manish Acharya in the film, I marveled at yet another comic who had managed to make me laugh, think, and cry. A version of this article was first published in India Currents (www.indiacurrents.com).